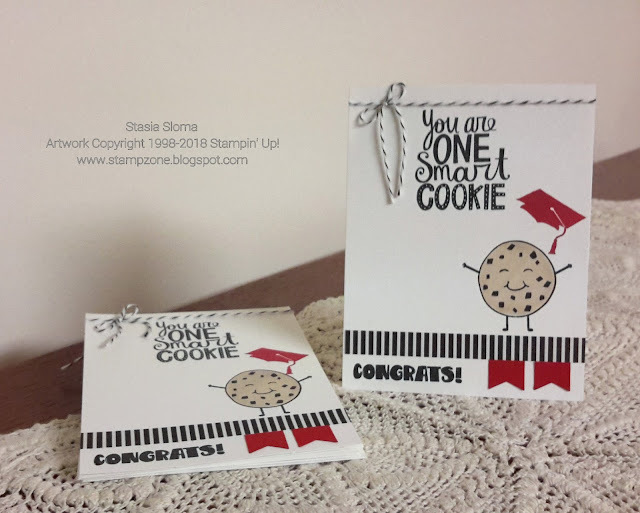 I just love this graduation stamp set from Lil' Inker Designs. The smart cookie sentiment just makes me smile. Love the play on words and it makes an awesome graduation card. The cookie was colored in with my Copic marker. The strip of designer paper is from The Paper Studio.